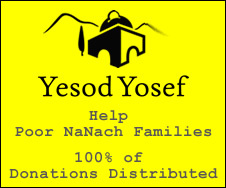 The main part of rectifying the act of eating in holiness is through tzedakah. And, so one must allocate to tzedakah before eating, and one should invite a poor individual to his table, as many suggest in holy seforim. Doing as such is because through tzedakah one creates a vessel to receive the lofty and pleasant bounty. The rectification of the act of eating is to connect the taste and pleasantness of food and drink to its root, which is the lofty pleasantness (of Hashem). One of the things we strive to do as Jews is emulate Hashem in every way possible. Many of us take the luxury of always having food for granted, but the reality is is that WE are the 'poor person' that Reb Nosson speaks about. Everyday Hashem invites us to His table to eat delicious foods whenever we are hungry. He gives us everything that we need without question. How could we have the chutzpah to not give to others? We should be zocheh to realize how much Hashem does for us every second of our lives, and learn from Hashem's dealings with us, so we in turn can treat others in the same manner.